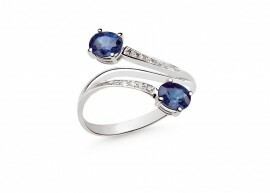 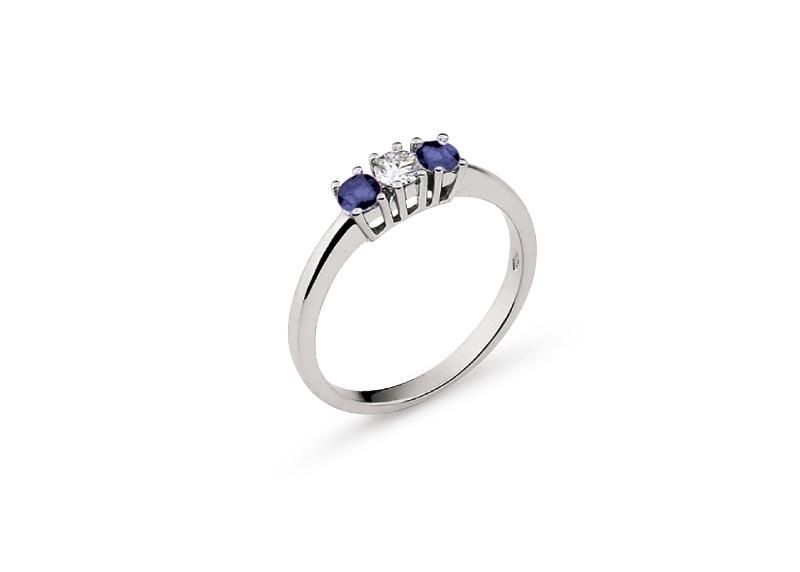 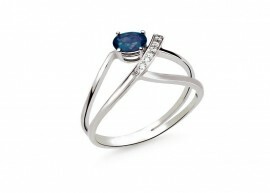 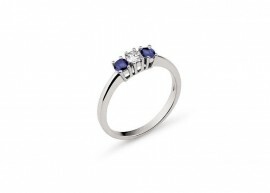 The main features of this ring are the simplicity and beauty. 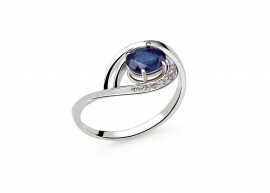 White gold of this ring has a value of 18 carats and weighs 2.90 grams. 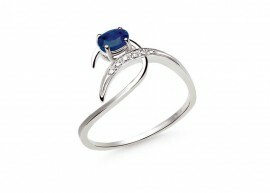 The 0.06 carats center diamond is flanked by the two natural sapphires of 0.18 carats.